Colonisation of the Americas at the end of the 15th Century killed so many people, it disturbed Earth's climate, according to a new study by UCL. The research, published in Quaternary Science Reviews, reveals the scale of disruption that followed Columbus’ ‘discovery’ of the Americas in 1492. Over the 100 years after European arrival, the indigenous population of the Americas dropped from 60 million to only 6 million, due to waves of epidemics, warfare and famine. The new research, funded by the UK Natural Environment Research Council, suggests that this led to a regrowth of forests and a reduction in carbon dioxide (CO2) levels, which in turn contributed to the Earth’s cooling. “The Great Dying of the Indigenous Peoples of the Americas led to the abandonment of enough cleared land that the resulting terrestrial carbon uptake had a detectable impact on both atmospheric CO2 and global surface air temperatures,” said lead study author PhD candidate Alexander Koch (UCL Geography). The ‘Great Dying’ was triggered by the arrival of Europeans and the introduction of new pathogens to the continent. Together, with warfare and slavery, there was an epidemic of diseases such as smallpox, measles, influenza and cholera. The scientists report that as the population plummeted, land was abandoned and farming ceased causing natural vegetation to grow back. Scientists believe that the changes to land use led to a lowering of CO2 levels sufficient enough that the concentration of the gas in the atmosphere eventually fell by 7-10ppm. This coincides with the ‘Little Ice Age’, a period between about 1300 and 1870 during which time many parts of the world dipped into cooler temperatures. In the 16th century global temperatures were at their lowest points. “There is a marked cooling around the 1500s/1600s which is called the ‘Little Ice Age’, and what's interesting is that we can see natural processes giving a little bit of cooling, but actually to get the full cooling you need to have this genocide-generated drop in CO2”, said co-author, Professor Mark Maslin (UCL Geography). The team analysed existing evidence for indigenous populations using seven geographical regions across the Americas including the Caribbean, Mexico, Central America and Inca Territory. They investigated population size and land use evidence in both the 14th and 15th century and compared this with potential natural drivers of global carbon declines. Bell Trail. 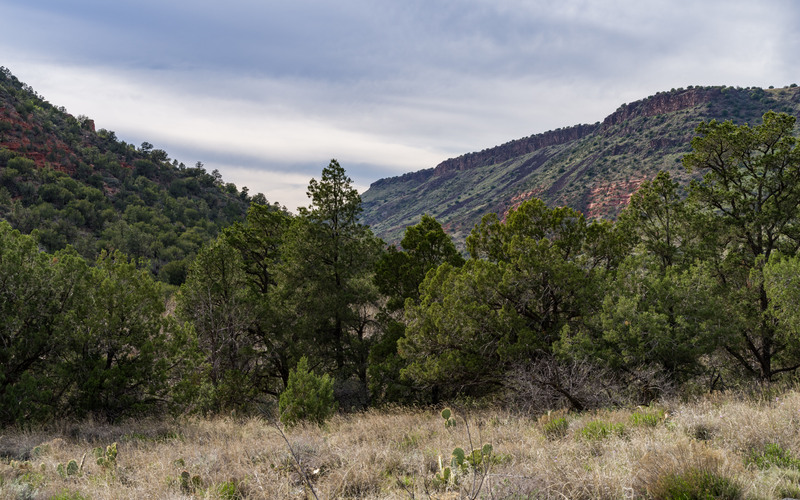 Credit: Coconino National Forest (via Flickr).